been published as an adjunct to this Statement. assignment, their extensive and individual experiences in planning and hosting previous conferences, including but not limited to AGC and SBL conferences. obtain specific approvals from NEC for its assignments. Officers, we are mindful of the promises that we made to our members in my Inaugural Address and we shall strive to keep and live by those promises in the planning and hosting of the 2019 AGC. 5. The composition of this year’s AGC TCCP comes with some innovations and exciting bonuses. First is the selflessness of all the Committee members. 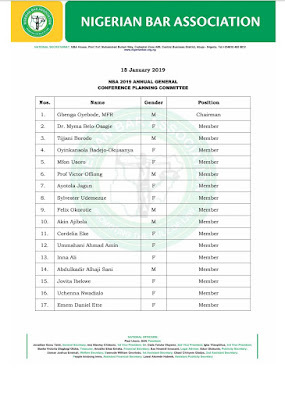 I spoke with each of the 42 members and they all committed to serve on the Committee at minimal, if any, cost to the National NBA purse as it relates in particular to their transport and accommodation for Committee meetings. That is exemplary, and I cannot thank them enough for this commitment and sacrifice. from each of the NBA Zones, totaling nine Branch Chairmen serve as ex-officiomembers of the TCCP. We expect the Chairmen to assist in explaining the mechanics of the AGC planning and the underlying considerations for decisions of the Committee to all our colleagues in their various Zones. 7. 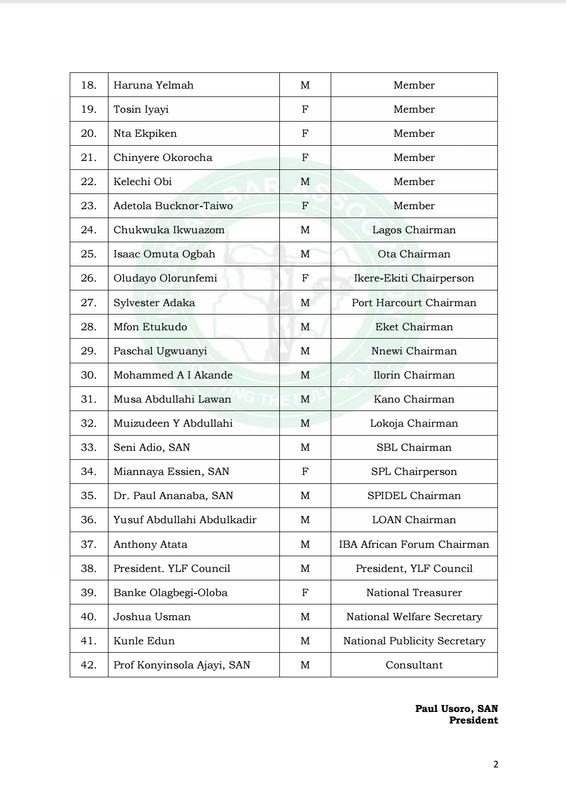 The Chairmen of our three Sections – SBL, SLP and SPIDEL – are ex-officio members of the TCCP as well and so is our own Anthony Atata, the IBA African Forum Chairman. 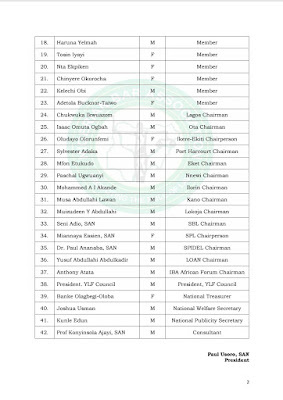 The President of the Law Officers Association of Nigeria, Yusuf Abdullahi Abdulkadir, has been appointed to the Committee as an ex-officio member and as will the YLF President as soon as the Council of the Young Lawyers’ Forum (“YLF”) is constituted. 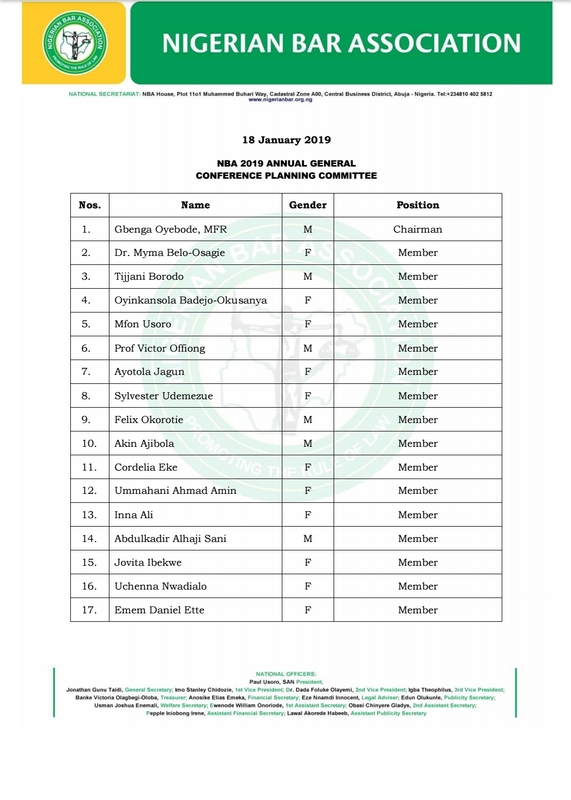 It remains to mention that we would be updating members with the activities of the TCCP as we begin the countdown to the NBA 2019 AGC.